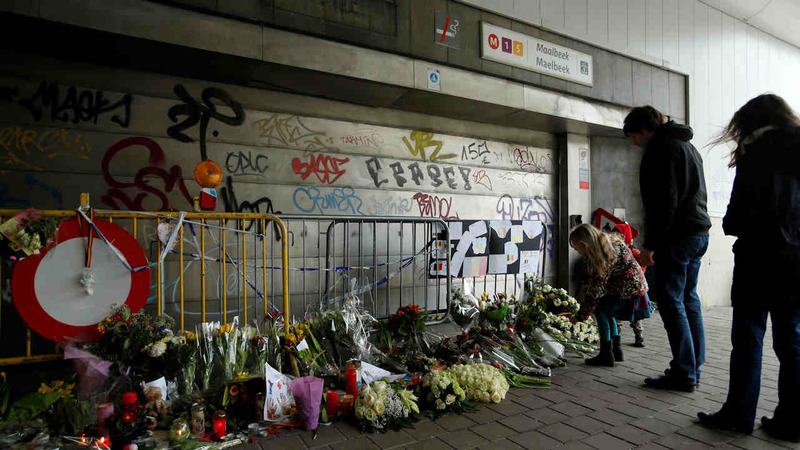 BRUSSELS -- Belgian prosecutors say three men have now been charged with terrorist offenses linked to Tuesday's attacks on the Brussels airport and subway. Prosecutors announced earlier in the day that a warrant had been issued for his arrest. Thirty-one people were killed and 270 wounded in Tuesday's attacks in Brussels. A Brussels prosecutor said 24 of the 31 have now been identified. He tells The Associated Press that 11 of them were foreigners. One was former Belgian ambassador to the United States, Andre Adam. He served as Belgium's ambassador during part of the Clinton administration. He also served at the United Nations during a long career that began in 1962. Of the 270 wounded, 93 are being treated at a Brussels military hospital. A doctor there says 15 people are in a serious burns unit, five of them in intensive care.